This is Carols first quilt ever. There is nothing that will give you more joy than delivering a gift that is made with lots of TLC. One of my newest students, Carol, was surprised at what a few quilt lessons could do. 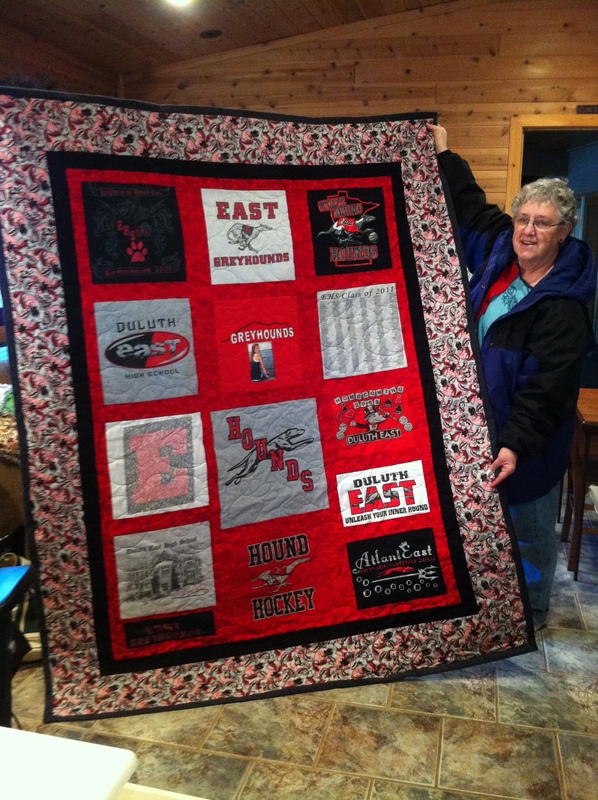 She delivered this quilt to her grand daughter on christmas eve. It was perfectly square and really stable on the t-shirts. Private and Group lessons are available on request. If you have any questions, just leave a post. I will be more than happy to answer to the best of my ability. Ask how to questions, or inquire about classes. Happy quilting! Keep it square!